6 February 2017: The UK and Europe is undergoing a STEM skills shortage, despite the fact that the sector underpins the entire economy. And with the STEM sector growing rapidly, it’s estimated that around 65 per cent of children will end up in jobs that haven’t even been invented yet. 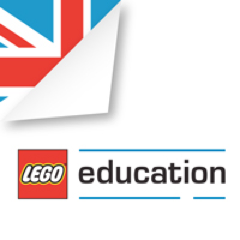 LEGO® Education is dedicated to inspiring today’s pupils in STEM classrooms through innovative, hands-on and engaging resources, with the aim of developing a lifelong passion for STEM and learning. With that in mind, LEGO® Education has announced that its digital content for WeDo 2.0 and LEGO® MINDSTORMS® Education EV3, including software, curriculum material, teaching support and extension pack downloads, is now available for schools to download for free. The aim of this is to help support STEM teachers in delivering exciting and enthusing learning opportunities for today’s pupils. WeDo 2.0 is an innovative practical science and computing solution that was created to enhance pupils’ coding and science skills through hands-on, real-world projects and programming activities. LEGO® MINDSTORMS® Education EV3 is an engaging hands-on robotics solution for teaching STEM and computer science in Key Stages 3 and 4. With the resource, pupils can work like real scientists, exploring complex STEM topics in an engaging way and developing critical thinking skills through scientific enquiry.